Wightlink’s new £30million environmentally friendly car ferry for the Portsmouth-Fishbourne route will be named Victoria of Wight. The name was chosen by a panel of staff who considered 186 suggestions from 73 members of staff. Work is well underway on the new ship at the Cemre shipyard in Yalova, Turkey. Victoria of Wight will be officially handed over to Wightlink early in 2018. It has not yet been decided when she will enter service. The new ship is part of an ongoing £45million investment in the route. New two-tier boarding ramps are already in use at Portsmouth and Fishbourne. These new ramps have made loading and unloading of the ferry St Clare faster and more efficient — again helping to conquer congestion an environment issues. 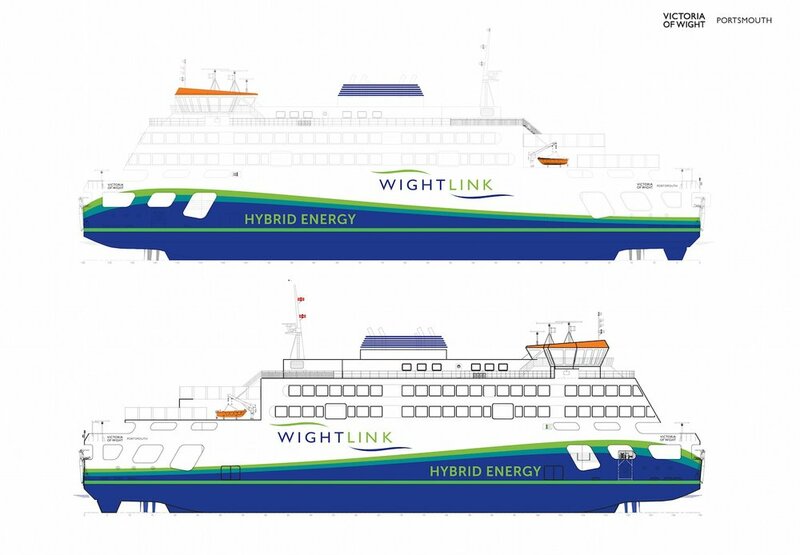 Victoria of Wight will be a hybrid vessel, powered by batteries as well as low sulphur marine gas oil. Further environmentally friendly features will include the recycling of hot water from the engines to heat the passenger areas and low energy LED lighting. There will be a shop onboard selling high quality Isle of Wight produce. Five staff members submitted the winning suggestion for the naming. They have all won a trip to the Cemre shipyard to watch the launch of Victoria of Wight later in 2017. The new ship will be launched at the end of 2017 and arrive in the Solent next summer.